In keeping with the Spanish language theme from the previous ~Winter Wassailing~ Blog(Sea Of Bees) we now present another interpretation of an Hispanic Hymn with the magnificent version of 'Ríu Chíu' by The Monkees. 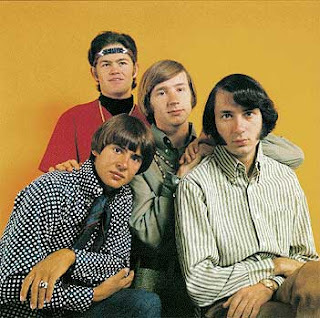 As with Mark E Smith and Momus, I have long planned a full Blog on The Monkees but just never seem to find the time to sit down and compose it. I absolutely adore The Monkees and see them as one of the most pure examples of 'Perfect Pop'. It matters not a jot to me that they did not play the instruments on their earliest records, for they never claimed to be a real group in the first place! You never seem to hear Take That, Boyzone or Westlife pilloried for not playing on their records, but The Monkees were well and truly crucified over such a meaningless argument. That's why I'm glad to bring this seldom heard track to you tonight, dear readers, for this track features NO instruments what so ever, but proves what gifted vocalists Dolenz, Tork, Nesmith and Jones were. 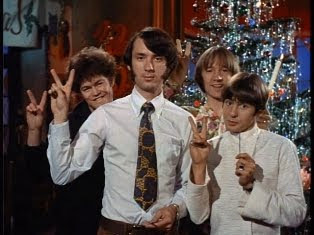 Unlike many of The Monkees songs, 'Ríu Chíu' only ever appeared on one episode of their TV show, 'The Monkees Christmas Episode' broadcast on Christmas Day 1967. The song also never appeared on any of their albums or singles and became a much sought after rarity amongst bootleg collectors. I finally managed to get a hold of the song via a Japanese import CD of rarities in the mid-90s. The song is pure A Capella and all four of The Monkees voices compliment each other beautifully in a way you wish they had explored more in their heyday! 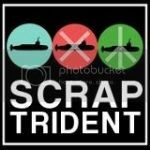 It might have shut some of the critics up! 'Ríu Chíu' was composed circa 1550 by Mateo Flecha, a Catalanian composer of Madrigals. The song was found in a tome known as the Cancionero de Upsala, a volume of mostly anonymous Spanish carols and hymns. Y aun en nuestros dias lo hemos alcancado. Y al hombre nel cielo porqu'er le quisiera. Este es el cordero que San Juan dixera. Pues a se igualar con el hombre viniera. It seems almost disrespectful after that but here's some other larks from that particular episode....and check the actions at 'gay apparel'! !